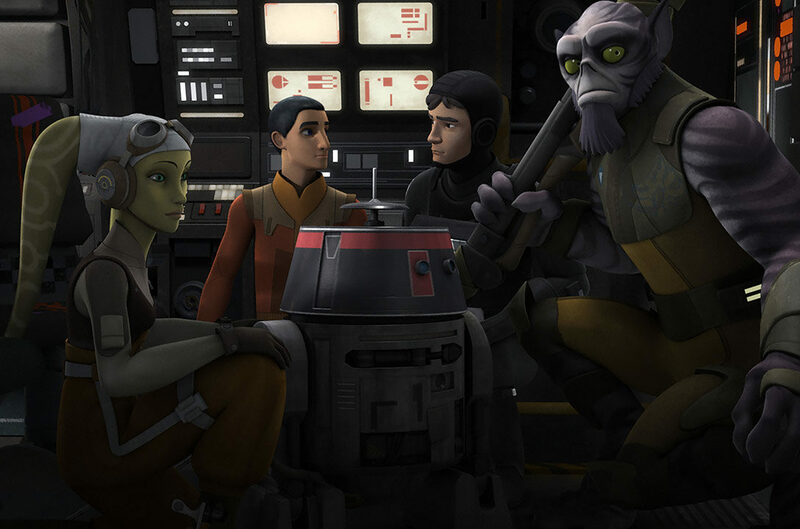 In anticipation of Star Wars Rebels' return with "Legacy of Mandalore," StarWars.com looks back at the biggest moments of Season Three so far. 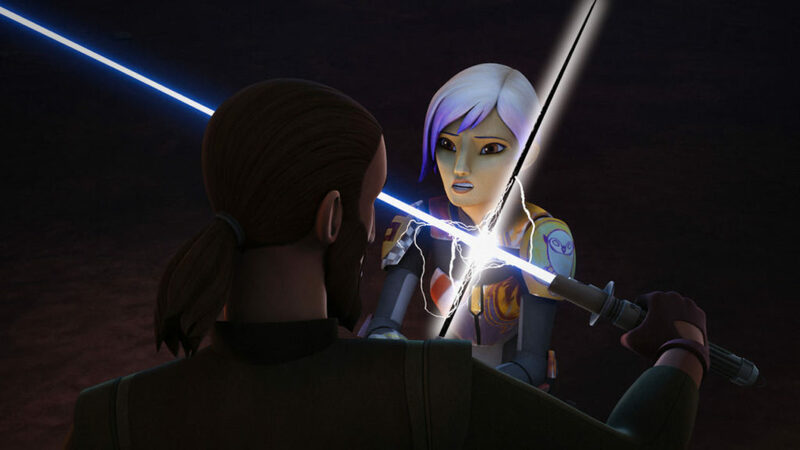 Whether it’s a winter break or March Madness, shows take breaks and Star Wars Rebels fans have been on one since “Trials Of The Darksaber” aired on January 18. However, good news! 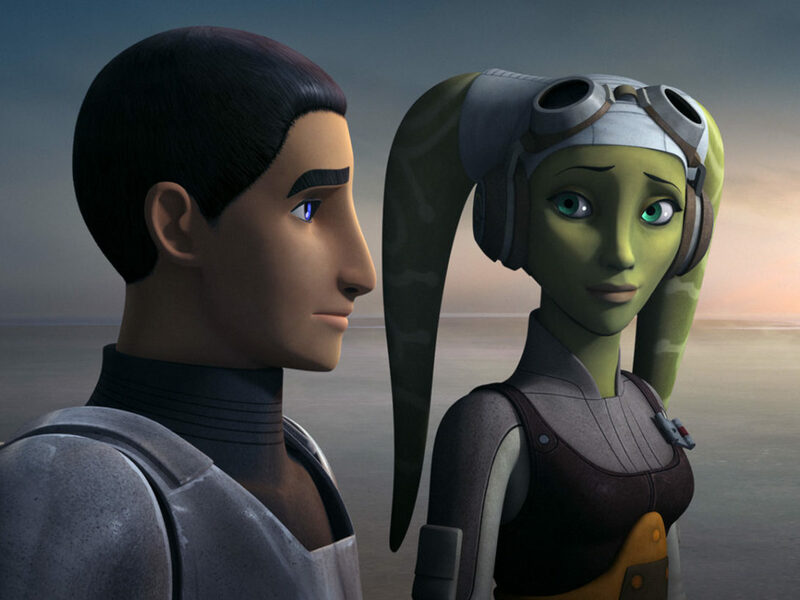 This Saturday, we’ll be able to dive back into Season Three of Star Wars Rebels with the reckless abandon of Ezra in Season One! Okay, maybe not that reckless. 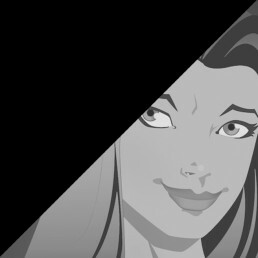 Anyway, I thought I’d use the break to gather my thoughts on the first half of the season and help prepare for its remaining episodes. 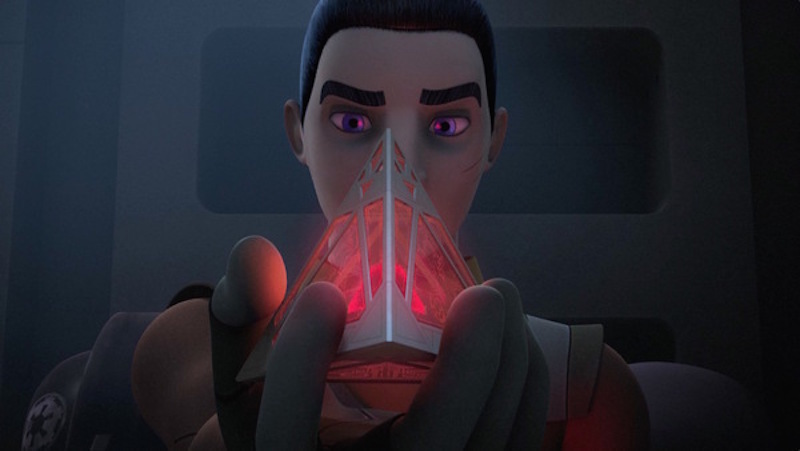 The events of the Season Two finale put the Sith holocron in the hands of Ezra Bridger who, unsurprisingly, opened it because of course he did. Knowledge is a temptation, especially when it helps you achieve a goal you’re almost desperate to reach. On top of that, Ezra is doing it for a good cause — helping people. More knowledge = more power and more power = the ability to destroy the Sith, which helps all kinds of people. Of course, the holocron also gives Maul his desired goal — hope. What he means by that, we don’t quite know, but he’s just as desperate to attain it. However, Maul doesn’t care about the costs involved in gaining that knowledge right up to putting everyone Ezra loves in danger to achieve said knowledge. 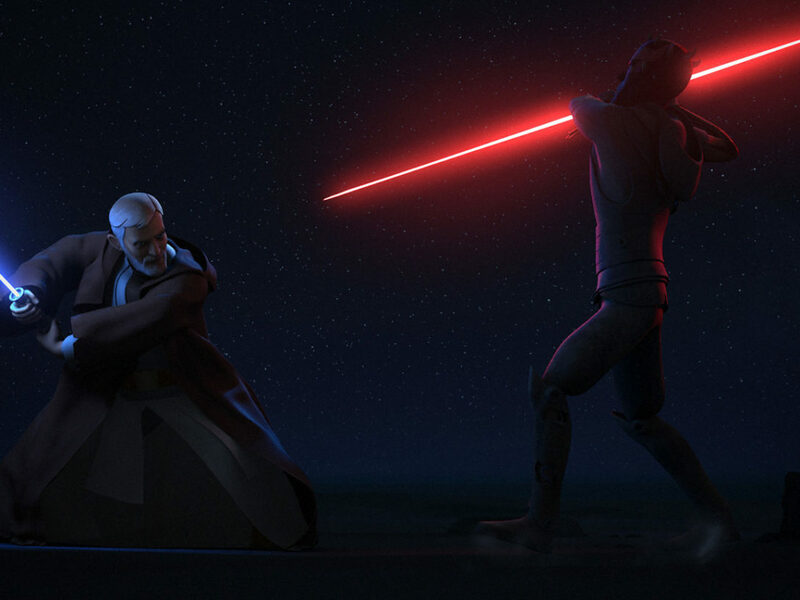 Ultimately, we learn what they learn: Ezra’s search for a way to destroy the Sith and Maul’s search for hope both lead back to Obi-Wan Kenobi. 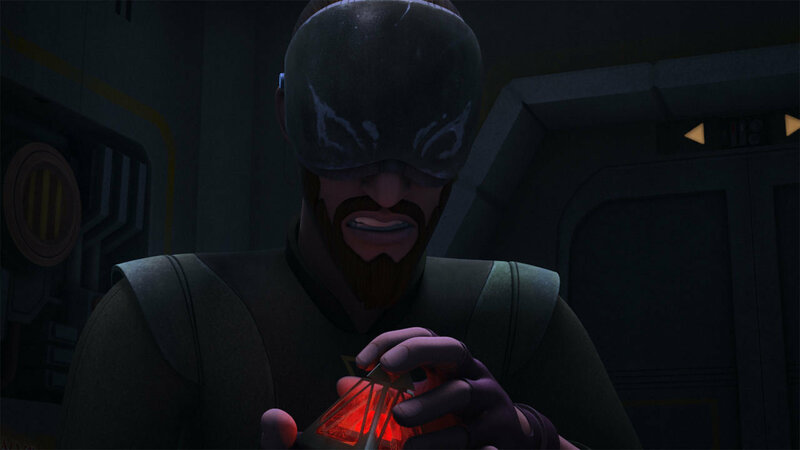 Kanan starts Season Three without his sight or hope. The Cowboy Jedi has crawled into the darkness without and within and he’s withdrawn from everyone else as he searches for a way back. 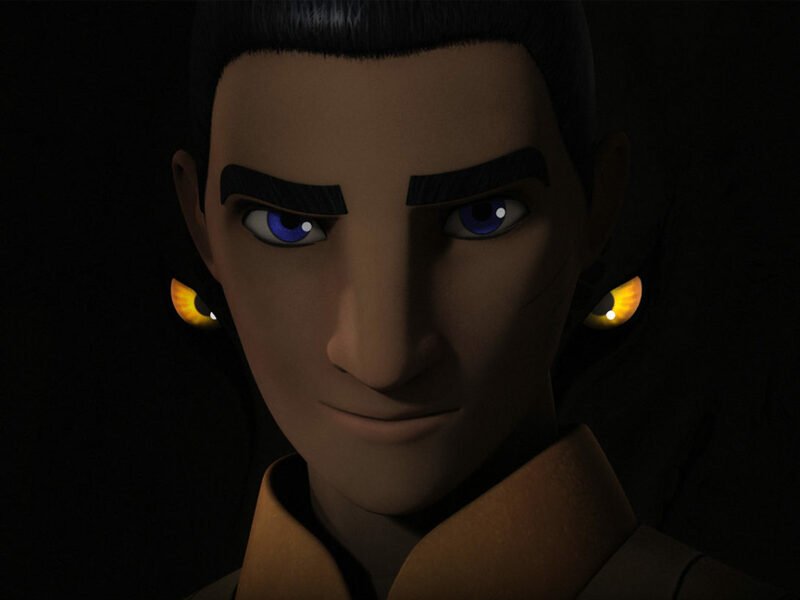 That search leads him to the Bendu; a being who embodies the Force, but lives in the balance between dark and light. 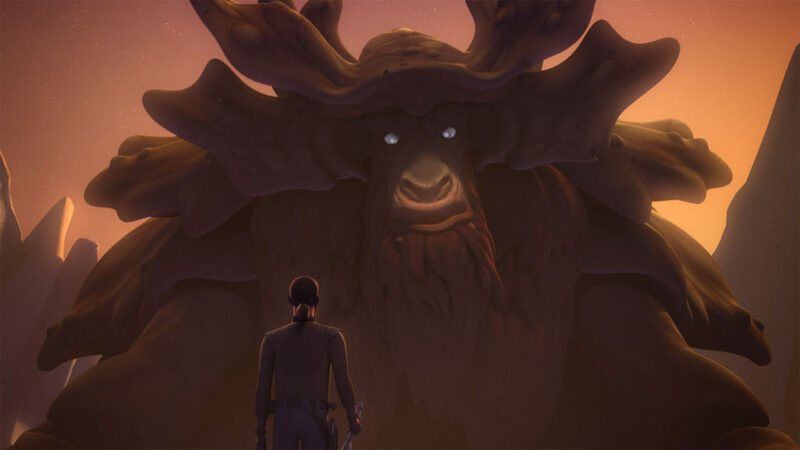 It’s Bendu who guides Kanan out of his anger and despair and into a newer and stronger sense of himself and the Force. 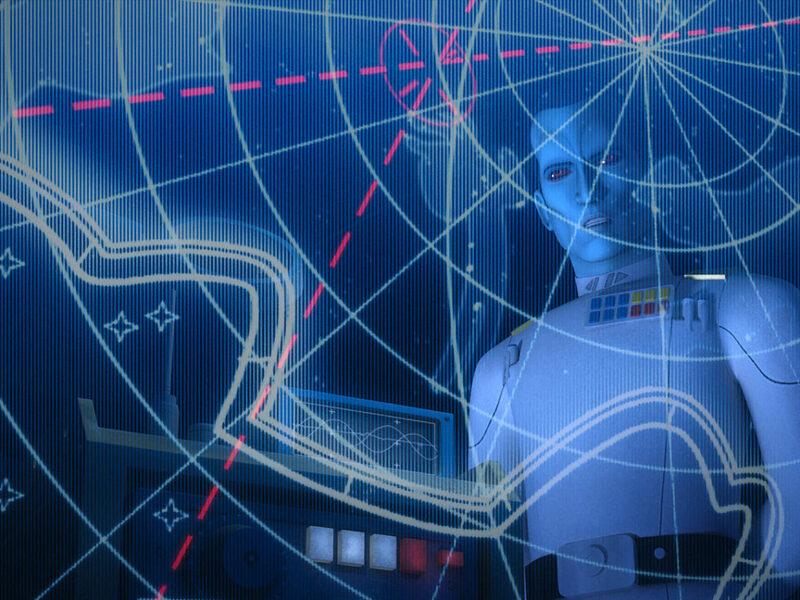 Last season, our rebels didn’t understand what they were up against in Grand Admiral Thrawn. 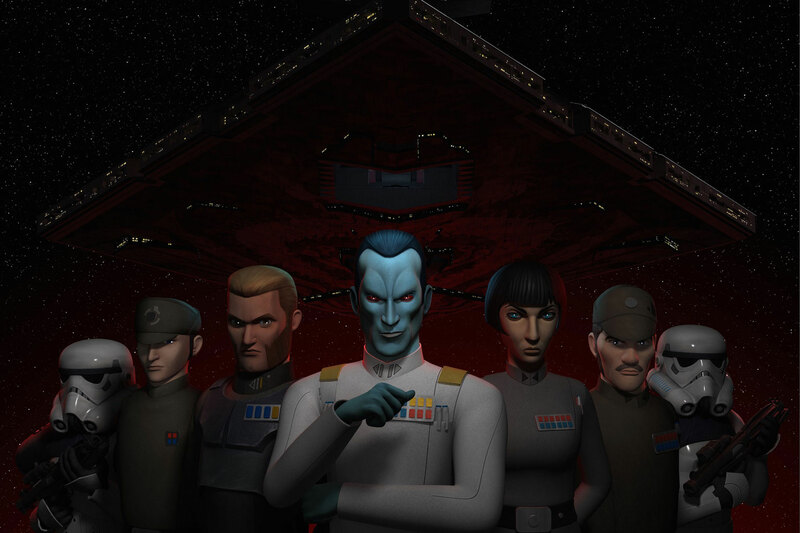 This season, they’ve discovered Thrawn is unlike any Imperial they’ve faced. Cunning, patient, and ruthless, Thrawn has narrowed the search for the rebel base down to less than 100 planets and his tactics have provided him intel on the rebel fleet and the Ghost crew. 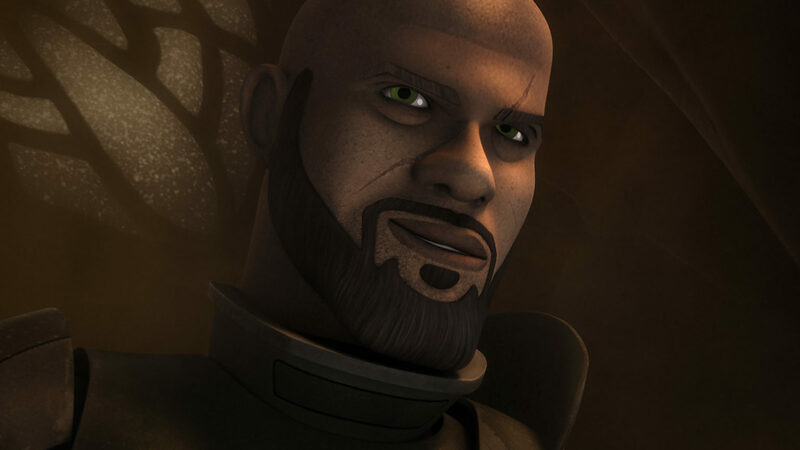 As for Kallus, the ISB agent has become an ally in the fight against the Empire and a man within Thrawn’s inner circle. 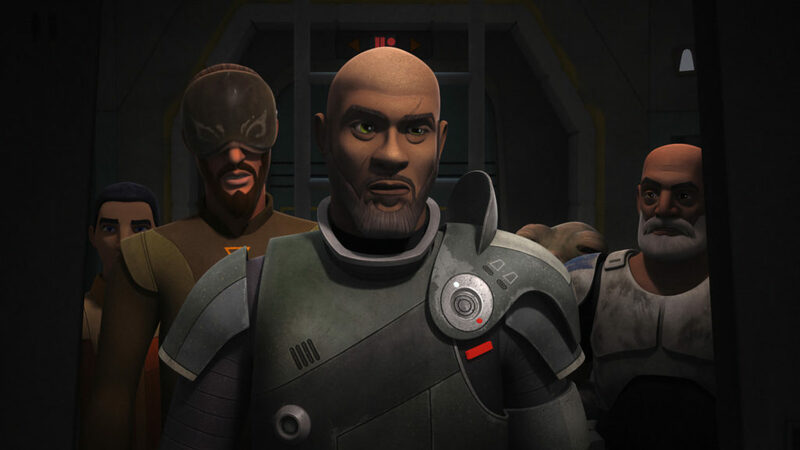 As Fulcrum, Kallus has found ways to help the rebellion in numerous ways. Shunned by her family and disgraced, Sabine Wren of Clan Wren has come into possession of two new items that tie directly into her Mandalorian heritage: a jetpack and the Darksaber. 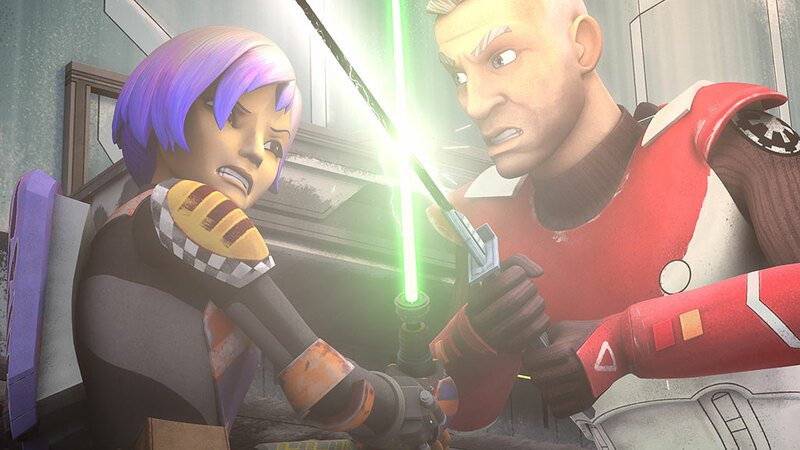 Once the sign of House Vizsla’s power on Mandalore and later used by Maul as the leader of Death Watch, the Darksaber means Sabine could return to her home with the ability to raise an army, and the power to reclaim her status and family name. Her first steps have been taken. She’s learned to wield the saber and she’s battled her fear and pain, finally exposing them to the light and coming out stronger for it. While it was limited, Saw Gerrera’s appearance on Rebels continues the story of the Death Star’s development, creating a direct link to Rogue One. 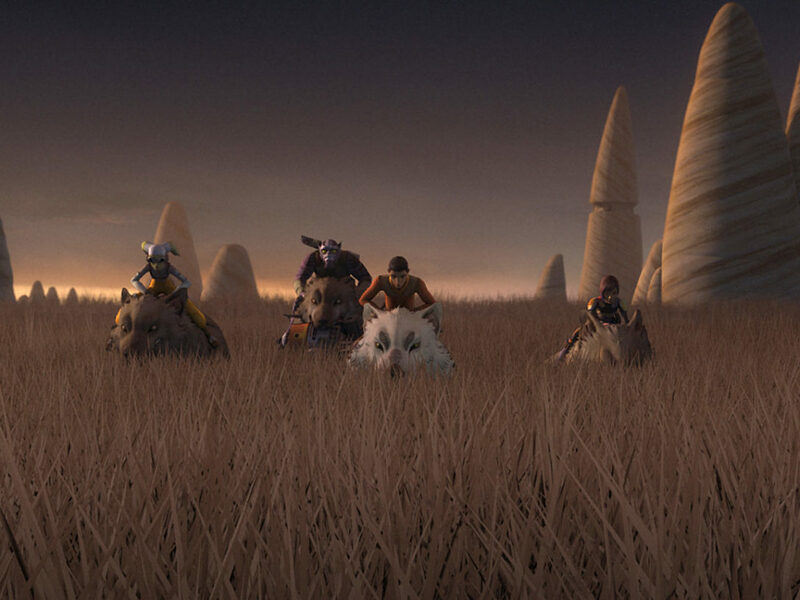 The rebellion knows something big happened on Geonosis, but there’s much more they don’t yet realize or understand. As Han Solo would say, that’s the real trick, isn’t it? 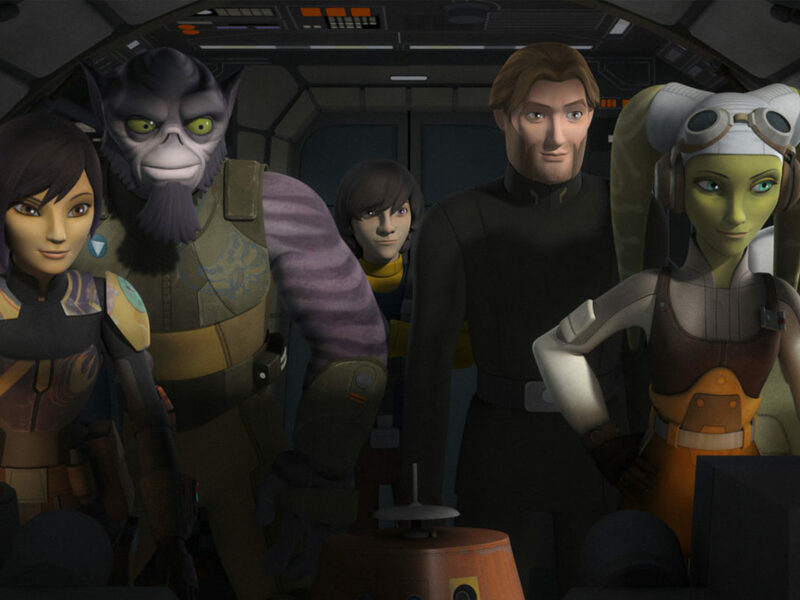 I say we just enjoy the ride, starting tomorrow with “Legacy of Mandalore” at 8:30 p.m. PT/ET on Disney XD.